LendingTree vs. Fiona: Which Personal Loans Provider is Better? LendingTree and Fiona are both market leaders in the personal loans industry. We compare features of both companies to help you decide which one suits you best. LendingTree and Fiona are both lending marketplaces, which means they both offer borrowers the ability to reach out to and apply to several lenders with one application, both provide multiple offers quickly, and both vary in their loan terms and fees based on the lender. At first glance, the 2 seem to be cut from the same cloth, and if you’re looking into a personal loan, you’ll likely ask the obvious question, is there really any difference between LendingTree and Fiona? The answer is - yes! Each has its own strengths and weaknesses, and deciding which one is appropriate for you will depend on a lot of factors. Here’s how the 2 of them compare when put to a head-to-head on important factors such as rates, application process, and loan terms. As mentioned above, both LendingTree and Fiona are not actual lenders. Instead, they are marketplaces that match up lenders and borrowers that meet each other's needs. LendingTree works with some heavyweight investors like Avant and Best Egg, so borrowers have many opportunities to find the best loan terms for them. Fiona also has an excellent network of lenders including major players like Prosper, SoFi, Upstart, and Liberty Bank. Also, its application process is slightly faster than LendingTree. The basic process is pretty much the same for both lending marketplaces. You need to fill in some standard information like how much you want to borrow, what the purpose of the loan is, your phone number, address, and email, and employment details. When results come back, you get to decide which offers you like and which you don't. Remember, there's no obligation to accept any offer that you are presented with. If the terms of the loan are suitable to you, then you get in touch with the lender (via the online form provided), and the specific terms and conditions are negotiated directly with the actual lender. Also, be sure to compare the offers you receive with others using the convenient online tools that each site provides. Fiona pulls ahead for its sheer speed. Being able to promise - and deliver on that promise - results in under a minute. It also has the shortest application process; it can literally be filled out in about 20 seconds. That’s fast by any account. Lending terms are the most important aspect of any lending establishment. Good terms will equate to a positive lending experience, while poor terms could lead to an even worse financial situation than the one you are currently trying to alleviate yourself from. Compare the terms carefully before agreeing to any personal loan. Borrowers should note that because both Fiona and LendingTree are marketplaces, they do not control, set, or determine any of the loan terms you are offered. Instead, each lender decides on the terms of the loan based on factors such as your credit history, current employment status, credit score, and present economic trends. Compare the rates that are given by each lender to determine which offer is the best one for you. Even has good terms due to its wide range of lenders. It offers loans from as little as $1,000 all the way up to $100,000. Repayment terms extend from 24-84 months and the average APRs offered are from 3.84% - 35.99%. The good thing about lending marketplaces is that you get a wide variety of lender requirements, so eligibility is broader. This makes it easier for people even with poor credit or lack of credit history to procure a loan. Even works with borrowers whose credit is as low as 580. 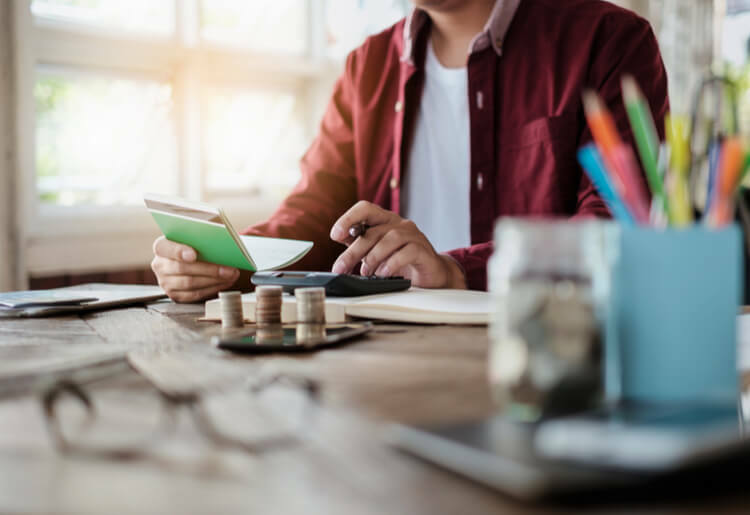 LendingTree lenders cover the spectrum, so you’ll find companies that are willing to work with incredibly low credit ratings, cosigners, and borrowers who don’t have much employment status to show for themselves. And, while 580 is a nice low credit score, LendingTree terms state that it has lenders willing to work with those holding a current 560 score, as well. That’s the lowest in the industry, so anyone with really bad credit (whether temporarily due to a loss of income, unexpected expense, or other sudden change in status, or more consistently due to poor financial management skills) should definitely look towards LendingTree. While the APRs will probably be higher than the average loan terms, at least you will be approved for the loan you are seeking. Lastly, LendingTree has a network of literally hundreds of lenders, so there is almost nobody out there who won’t find a lender that is willing to work with their particular situation. Both LendingTree and Fiona keep their pricing fairly simple. The service itself is totally free, and all fees and charges come from their lenders. That’s a pretty clear cut deal; except that borrowers really have no idea what they’re getting themselves into because they are at the discretion of the lenders’ terms and conditions. Of course, as mentioned, no one is obligated to take a loan offer, and anyone considering a loan should read the terms fully before signing anything. Extra goodies go a long way with any company today, and personal loan services are no different. Fiona falls somewhat short in this area. The site offers a lot of information, especially for new borrowers who don’t know much about the terminology, loan terms, and process. Even explains every step of the process in short, but understandable terms, so anyone can walk away with a better grasp of the industry. However, that’s where Even stops in terms of helpfulness. Take a look at what LendingTree offers by comparison. LendingTree has a lot to offer the average borrower, and even more if you don't know a lot about loans in general. With a tremendous online library of articles and blogs, LendingTree helps to educate borrowers who are unfamiliar with the industry and trying to make sense of it all. Additionally, this company offers great online tools and resources such as live mortgage rate tracker, rate calculators, comparison charts and tools and credit score ratings. Also, LendingTree offers customers a mobile app that they can use to check on their loan status, update information, organize payments, and learn about money-saving tips and other financially responsible choices. Users can also get free credit reports, so they can see where their credit score is holding, along with credit updates to let them know where their score needs improvement. The app is available for both iOS and Android devices, the UI is clean and fresh, and having that kind of power on the go is always a pleasure. One final edge that LendingTree has over Even is its time in business. While Fiona was started just a few short years ago, LendingTree has been in in the lending industry since 1997. That's over 20 years of experience under the belt, and LendingTree has spent that time building a good, reliable reputation. Companies with hidden fees and other untrustworthy practices won’t have this kind of name in the industry, so LendingTree really wins big points for just being around for that long. In fact, while Fiona has an A rating with the Better Business Bureau, LendingTree has a rock solid A+. You just can’t fake dependability like that. While it's a neck and neck battle, Fiona pulls ahead of LendingTree for a few reasons. For one thing, Even offers some of the fastest funding available today, and according to studies, that’s one of the most important aspects borrowers look for when considering a lender, even above APRs. Even offers loans as soon as the same day, but their average is 4.5 days. Additionally, it offers really competitive loan terms that make repayments easier on the borrower and more appealing, as well. It is really the best option for borrowers who want a quick and easy solution for their financial issues. LendingTree is also a great option, though, so don’t discredit it. It is actually a better option if you want loads of resources, tools, and someone to walk you through every step. Your best bet is to run your own comparison based on your specific details including your credit score, loan amount, employment history, and monthly debt-to-income ratio to see what results you get. Sometimes you can find better rates where others couldn’t. With a clean, simple, and responsive interface, great customer service that’s available via email, phone, and live chat, blog, FAQ, and online resources to help consumers, and so much more, Fiona is awarded the gold medal for this personal loans battle. Find out more about Fiona and what it has to offer you today.